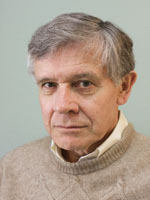 Peter W. Hewson is Professor of Science Education at the University of Wisconsin–Madison. He is also the director of a project to develop collabo­rative research in science and mathematics education between South Africa and the United States. He has been a principal investigator on several other federally funded multiyear projects in science education. As Codirector of the Professional Development Project of the National Institute for Science Education, he coauthored the first edition of Designing Professional Develop­ment for Teachers of Science and Mathematics (1998). He teaches in the under­graduate teacher education and graduate science education programs and coordinates a professional development school in Madison. He has been deeply involved in the development of a conceptual change framework and its application to the learning and teaching of science. He has also studied initial teacher education and the continuing professional development of practicing teachers. He has published numerous articles on these and re­lated topics. He received his D.Phil. in theoretical nuclear physics from Oxford University, and he taught physics and science education in South Africa before moving to the United States.